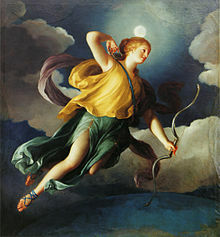 2.4 As a "frame god"
5.2 The "Society of Diana"
Later poets and historians looked to Diana's identity as a triple goddess to merge her with triads heavenly, earthly, and underworld (cthonic) goddesses. 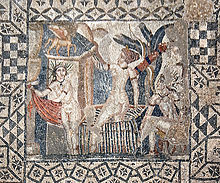 Maurus Servius Honoratus said that the same goddess was called Luna in heaven, Diana on earth, and Proserpina in hell. Michael Drayton praises the Triple Diana in poem The Man in the Moone (1606): "So these great three most powerful of the rest, Phoebe, Diana, Hecate, do tell. Her sovereignty in Heaven, in Earth and Hell". 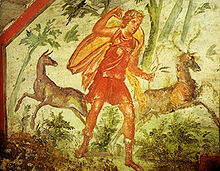 In his wide-ranging, comparative study of mythology and religion, The Golden Bough, anthropologist James George Frazer drew on various lines of evidence to re-interpret the legendary rituals associated with Diana at Nemi, particularly that of the rex Nemorensis. Frazer developed his ideas in relation to J. M. W. Turner's painting, also titled The Golden Bough, depicting a dream-like vision of the woodland lake of Nemi. 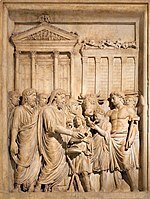 According to Frazer, the rex Nemorensis or king at Nemi was the incarnation of a dying and reviving god, a solar deity who participated in a mystical marriage to a goddess. He died at the harvest and was reincarnated in the spring. Frazer claimed that this motif of death and rebirth is central to nearly all of the world's religions and mythologies. 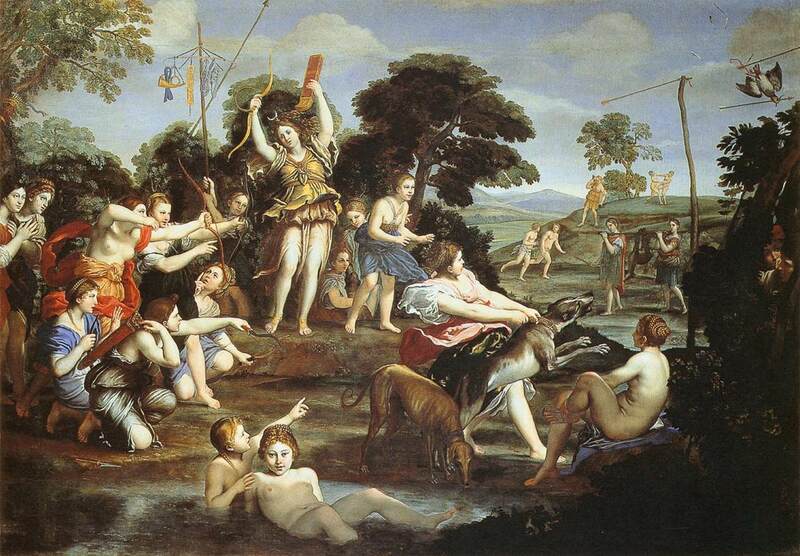 In Frazer's theory, Diana functioned as a goddess of fertility and childbirth, who, assisted by the sacred king, ritually returned life to the land in spring. The king in this scheme served not only as a high priest but as a god of the grove. Frazer identifies this figure with Virbius, of which little is known, but also with Jupiter via an association with sacred oak trees. 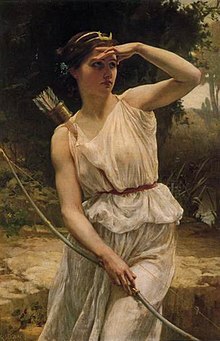 Frazer argued furthemore that Jupiter and Juno were simply duplicate names of Jana and Janus; that is, Diana and Dianus, all of whom had identical functions and origins.